Dodger Insider magazine is distributed at auto gates (one per vehicle) and via Fan Services for those who use alternate transportation. 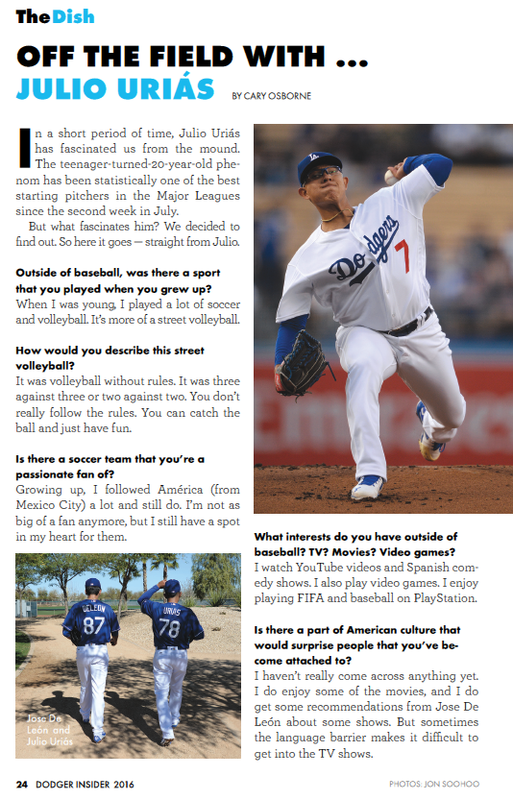 Dodger Insider magazine includes news, features, analysis, photos, games, stadium information and more. Fans who wish to subscribe for 2017 can do so at dodgers.com/magazine. 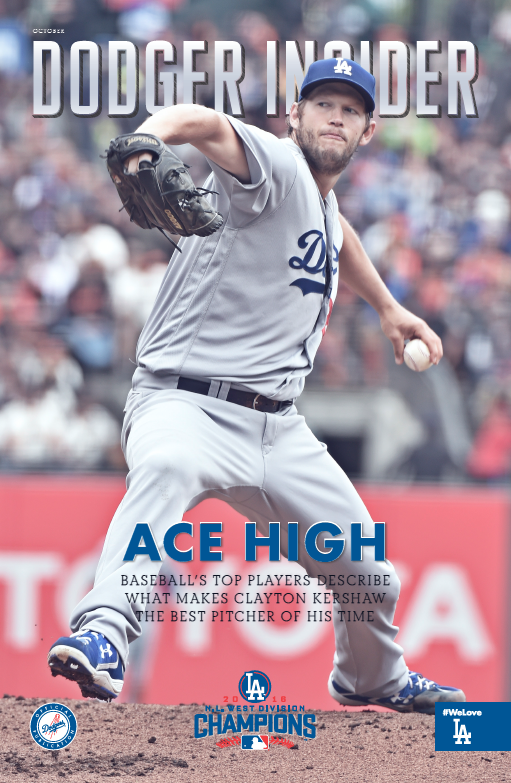 For the cover story of the postseason issue of Dodger Insider magazine, Jake Arrieta, Madison Bumgarner, Cole Hamels, Stephen Strasburg, Mike Trout, Nolan Arenado, Buster Posey and Paul Goldschmidt gave Cary Osborne their first-hand, All-Star opinions of what makes Clayton Kershaw such a unique talent. “As of right now, I think everybody that’s playing this game is getting a chance to see possibly the best pitcher to ever play this game,” said Bumgarner. Vin Scully gave us more than just Dodger games, of course. 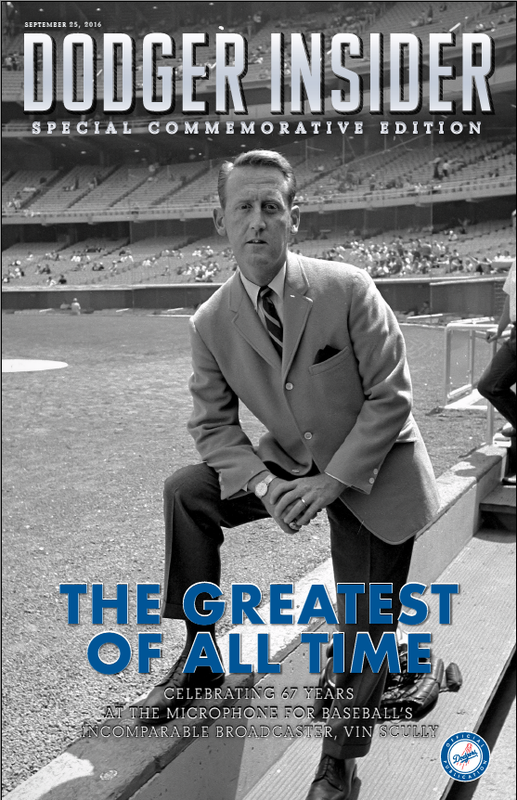 His indispensable Farmer John endorsements, his work in other sports and entertainment — it was all part of the Vin Scully Experience. 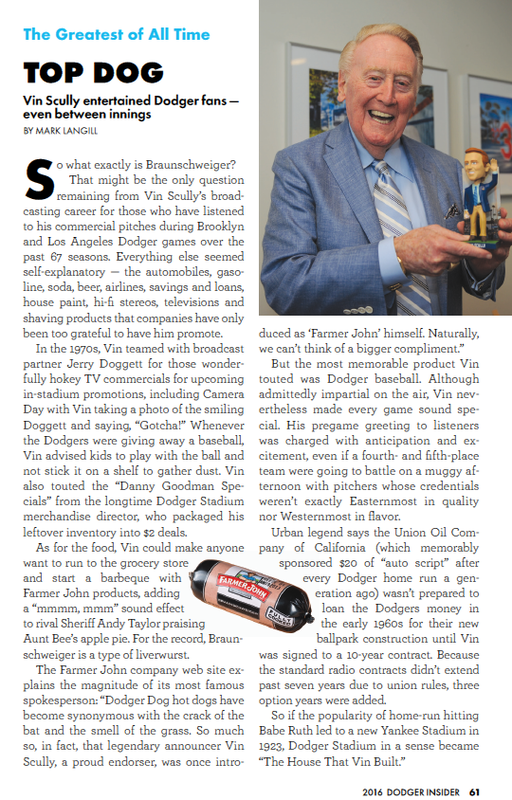 Read more from Mark Langill and Cary Osborne below, via our Dodger Insider tribute to Vin Scully. 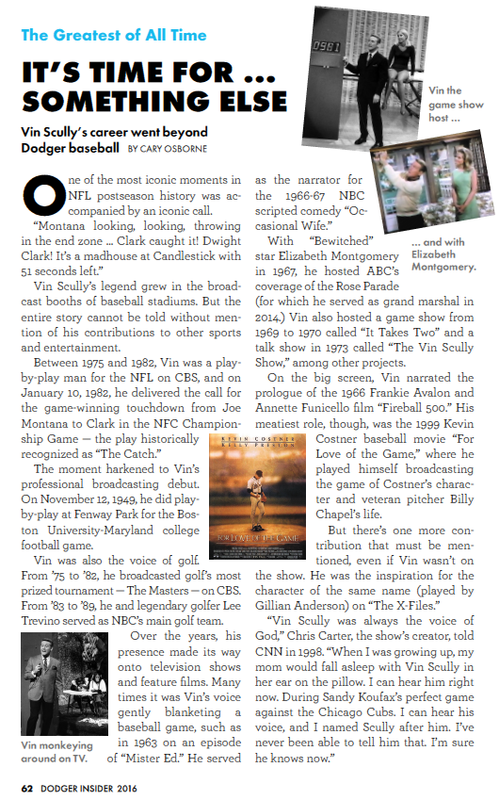 If there’s no one whom we’re bigger fans of than Vin Scully, there’s no bigger fan of his than his wife, Sandi. For our Dodger Insider tribute to Vin Scully, Mark Langill provided us with this feature on the First Lady of the Vin Scully Press Box. Here’s a sneak peek at the cover of Dodger Insider magazine for September 19-24. This will be distributed at auto gates (one per vehicle) and via Fan Services for those who use alternate transportation. 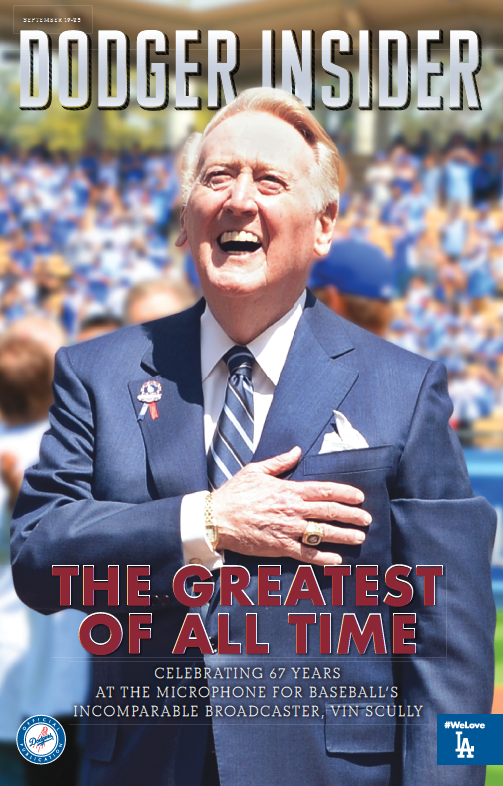 As is the case with the Special Commemorative Edition that will be given at the ticket gates to the first 50,000 fans September 25, the September 19-24 edition has been dedicated to celebrating the life and career of Vin Scully. The main difference is the September 25 edition will have the special commemorative cover. Existing subscribers will receive the September 25 commemorative issue. 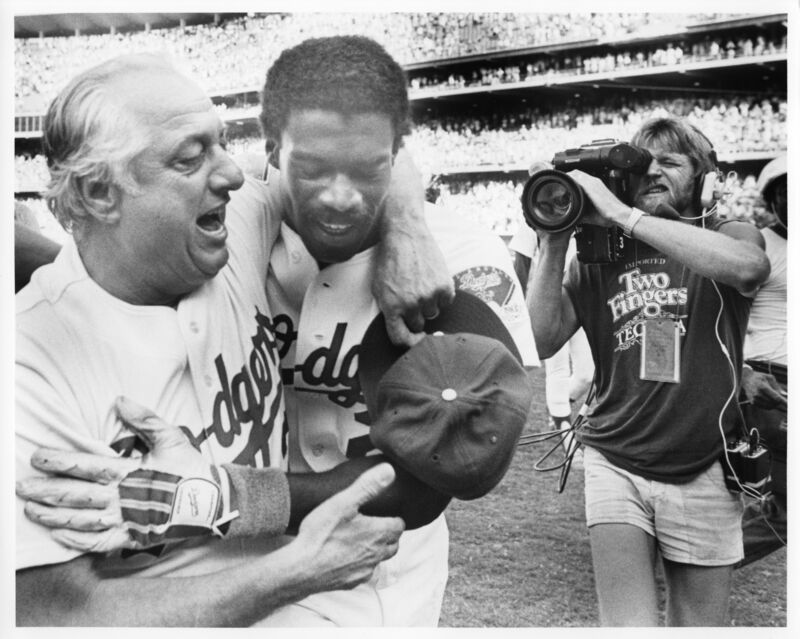 Tommy Lasorda hugs R.J. Reynolds after the rookie’s unforgettable squeeze, whose 33rd anniversary is Sunday. 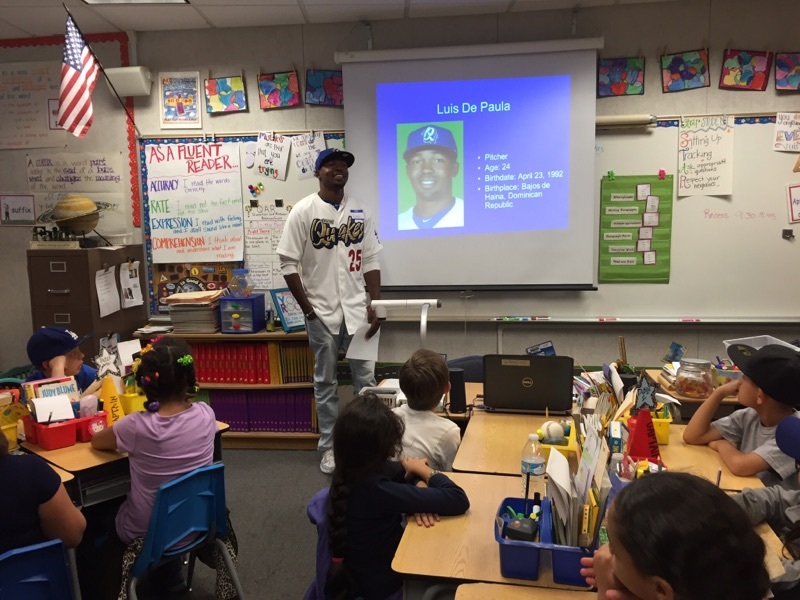 Every Dodger fan is targeting the World Series, but you can’t get there without some regular-season magic. 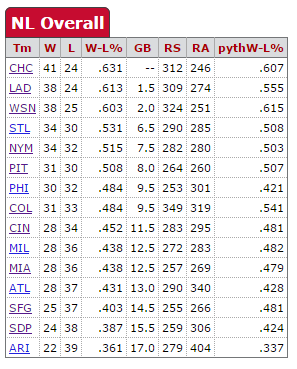 The Dodgers have seen plenty in their 49 Southern California seasons, both in their favor and against them. 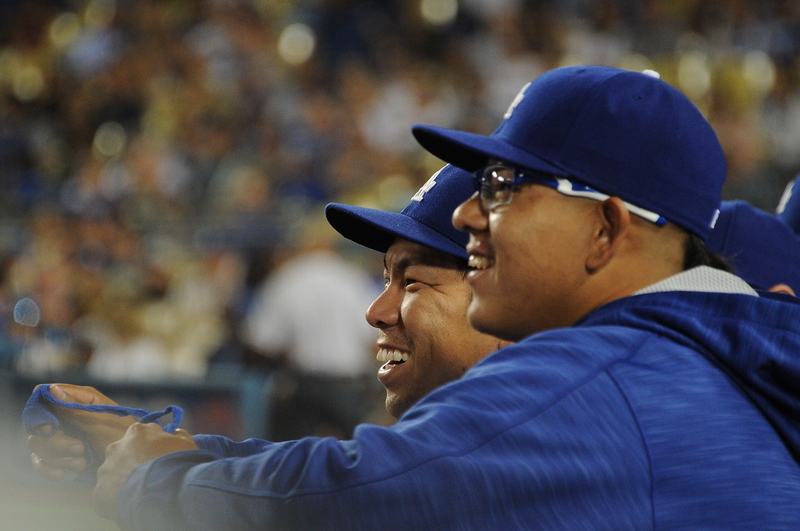 For good and for bad, here (in this Dodger Insider magazine story) are the ups and downs, the highs and lows — the 20 most pivotal regular-season moments in Los Angeles Dodger history. For Vin Scully’s final homestand with the Dodgers, we’ve created something special for Dodger Insider. The 96-page September 19-25 issue of the magazine has been dedicated to content celebrating the career of the beloved broadcaster. And on the final day of the season — Fan Appreciation Day — the first 50,000 ticketed fans will get an edition with the special commemorative cover seen above.